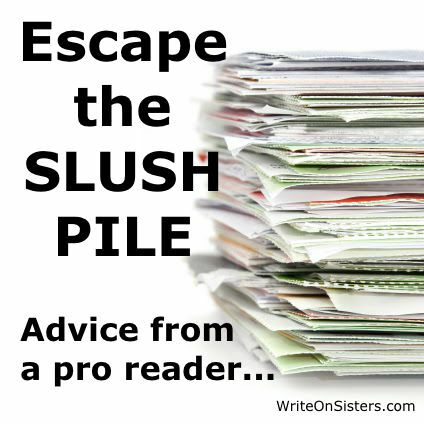 I have been a slush reader for a while now. I read for the semi-pro SFF magazine Fantasy Scroll Mag, and I love my work there. I read 10 to 20 submissions a week, and I probably flat out reject all but a handful every month. The reasons why are numerous: the author failed to check our magazine’s genres before submitting, I’ve read (and accepted) far too many stories with similar characters and theme (yes, zombies and vampires are still a hard sell), the story was not well-edited, etc. While I don’t want to go on a tangent regarding the last, I will say this: some authors post that editing should not matter as much as it does, because, well, the publisher has editors for a reason. And yes, on the very, very rare occasion I read a story that is absolutely fantastic, sans some editing concerns, I still pass it on to my editor because the value of the story makes up for its structural woes. However, most markets are competitive and most (proper) markets pay you by the word. They want to be paying for good, polished words. Not second or third drafts. A story with typos, syntax errors, and improper capitalization, among other things, gives slush readers huge red flags. Fantasy Scroll Mag prides itself on reading submissions all the way through, even when we’re pretty sure of our decision by the end of page one, but not every market has that luxury. Reading a story takes time, and especially for short fiction markets, the moment our mind starts thinking about how much longer it will take to finish reading, the “reject” has occurred. In short, the old adage that your story’s first sentence, first paragraph, and first page are the most important elements is true. You typically have one page to convince a slush reader to keep reading. But that, alone, is not enough to get a slush reader to slap a “YAY” on your manuscript. Here are four things that I’ve come to understand, as a slush reader, make the difference between the stories that end up in my reject pile, and those that I happily send off to my editor. This is, by far, the most common form of criticism that pops up in slush reader comments, but I think a lot of authors have trouble understanding what this really means. The greatest writers that the world knows (Poe, Tolkein, Fitzgerald, King, Gaiman, etc.) all have one thing in common: their writing is recognizable. These writers employ cadence, alliteration, and deliberate vocabulary, elevating the act of reading until it is in and of itself part of the story experience. Think of the litany of teachers, speakers, politicians, actors, and news anchors you have listened to in your lifetime. Think of that uncle of yours who has practiced telling his best stories so many times that, though embellished, you can’t help but listen all over again. Think of the greatest of those orators, and what made them great, or what made them… not. Apply that to your own writing. If you can harness your own voice, and use it consistently throughout your work, nine times out of ten, any slush reader looking at your work is going to stay glued to the page until the very end. There is a modern trend in fiction that has, to an extent, abandoned the concept of the great epic. Long, drawn-out stories of battles and moral wars and the thousand deeds of Hero of the Year are out of style. Readers want to get up close and personal with the soul. This is true of any genre. Character is king. This means that readers need to care about your character before the stakes are raised. The edgy hook that throws the reader into a moment of high tension at the very beginning (more on that in a moment) is starting to lose its effectiveness on slush readers, who, due to the style of reading required by the job, must read, not for casual enjoyment, but critically, straight from the outset. Character development is particularly important and tricky. Character development is not simply getting Sally from Point A to Point B. It involves exposing her true nature by putting her in situations that she never would have been in before the start of the book and showing the reader what happens when she fails (more on that later, too). Strong characters equal strong story. Think of the characters in Catch Me if You Can––the plot is simple. It has been done a million different ways in a hundred different genres. But it is the characters, especially Frank and Hanratty, who carry the movie. It became more than a chase scene. More than a blue-collar James Bond. The film was alive with their juxtapositions and banter. Go deeper with your characters. Make sure they are real people. Do that, and the plot might not even matter. The same can’t be said going the other way. “The Hook” has been a long-time favorite device among authors to skip the boring preamble of a book and get straight to the action. It, on its own, is actually very effective. Most Hollywood movies use it to great effect––the audience’s heart rate starts pumping and excitement fills their veins… problem is, it’s been used to death in fiction, especially short fiction. Some stories can still get away with using The Hook. I’m not advocating for the complete avoidance of it (and any advice that tells you to always or never do something should be taken with a grain of salt anyway), but I would caution authors to take care. The Hook can be very effective as long as the tension introduced is maintained for the rest of the story. Using a hook to draw the reader in, only to follow it up with a page or more of backstory, exposition, or flashbacks, kills any tension the opening provides, and for me, it’s generally hard to drum up the same level of energy again. Yes, your opening needs to be strong. But it’s also just the starting line. Tension should rise toward a climax in Western storytelling. Don’t fire all your pistons at once. Finally, I want to talk about conflict: the thing that turns a room full of characters and the events in their world into a story. Conflicts come in all sizes and all complexities, but you’d better make sure your story actually has one, and you’d better make sure that your central characters have a crucial part to play in it. If all of your major conflict is happening, or worse, being resolved, off-screen, slush readers are going to wonder why they’re even reading about Axe Warrior Kraven at all. Character is king, but conflict proves his mettle. Make sure that your characters are responding to the conflict stimulus in genuine, meaningful ways. Make sure they are in on the action. Make sure they need to be there to make the story work. I’ll be honest with you. You don’t have to harness all four of these things to make your story work. But at the end of the day, my editor only allows me to give him one of three words: Yes, No, or Maybe. One word to encapsulate all of your blood, sweat, and tears. I can say “Maybe. This story was amazing, but the prose (author voice) never really drew me in.” Or I can say “Yes. I loved every word of this. The characters were believable and the story (conflict) kept me guessing. So well-written (author voice)! I couldn’t put it down until the end (not just a “Hook”).” Which one would you choose to spend your time on, as an editor with a limited budget and a maximum number of words to fill? Alex Hurst was raised in the wilds of the south. Lightning storms and hurricanes created the playpens of her youth, and in the summers, she used to spend all of her time dodging horseflies in a golden river, catching fish and snakes with her bare hands, swinging from vines, and falling out of magnolia trees. These days, she tends to move a lot, and is currently on her way to Vancouver from Kyoto. 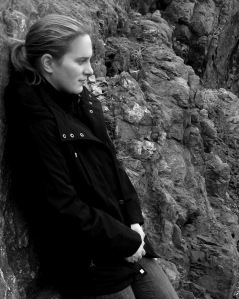 Alex writes primarily character-driven fantasy, when she’s not slush reading for Fantasy Scroll Mag. When it comes to fiction, Alex loves realistic characters in unreal worlds, high stakes and meaningful reflections on what it means to be human (or nonhuman). Wonderful post! Fantabulous. I tried to learn as much as I could. Thank you very much Alex Hurst. Outstanding post, Alex. Thanks for sharing your experience. Great stuff, Alex. You’ve really nailed it down. I acquire fiction for StarShipSofa, and I see these errors almost everyday. And these are *reprints*. People are actually sending it stuff that’s already been published. I’d imagine you guys have it far, far worse in the originals-world. And +1 to people not reading the guidelines and what the editors are after. That never gets old. Genuinely helpful advice with specific examples that make your points. I’m going to evaluate each of my books against your four standards and make sure they hold up. This is the first article I’ve read from the perspective of a slush reader. Now I see why your task is crucial and how qualified you are. I bet I’m not the first person to think that slush readers are disinterested interns who can’t wait to move on. You’ve set me straight. Thank you. That’s such a wonderful thing to hear, Sharon. Thank you. 🙂 I think we all have a lot of blind bias towards areas of the world we don’t understand. Editors are out to ‘steal your voice’… publishers only care about the money…. slush readers cackle in delight with each dream they crush. 🙂 Of course none of it is true, but we’re all only human. “Character is king, but conflict proves his mettle.” Really enjoyed this post, in particular the paragraphs on conflict. TI try to remind myself that conflict should be compelling and believable (as you say) and also an organic result of the story; something which reflects the protagonist’s character, desires, and focus. It’s so easy to lose sight of this, and start writing conflict for conflict’s sake. Thank you for an excellent and informative post. Sharing! Love this post, Alex, especially your thoughts on the Hook. I’ve read stories where the tension goes up and down like a yo-yo and I’m stressed and bored by turns. Mastering the rhythms of conflict is so critical. Great advice here – thanks for sharing! Thank you, Sue! Yes, the tempo of tension is just as important as everything else, and is often overlooked. I know it’s hard…. I’ve been accused of the same things in my own stories… so it’s definitely one of those things that require practice and a very careful, critical eye in the editing phase. What a fabulously entertaining post. These tips should be carved onto stone tablets–or on fridge magnets for every writer. 😀 I’d buy a fridge magnet. I’ve read this kind of suggestions hundrends of time, but Alex put them in a very good perspective. I was particularly interested in the point 3. I usually see reccomandations to use a strong hook (nearly everywhere), I’ve also read story that starts out with a ‘obvious’ hook (and by this I mean that the author clearly poured a lot of effort in coming up with a clever hook) that then falls flat on the second sentence, where the story actually begins. It is something that puts me off, honestly, becuase it feels like a kind of trick on the part of the author. Sure, a strong hook does… well, hook me, but if then I read a meh! beginning, I’m out of the story faster than if there had been no hook at all. Of course this may be just me… but it is a reader’s experience. Yes, Sarah, that’s exactly it. You got it. 🙂 It’s the same issue you might have if your story has multiple POVs but only one plot that is interesting…. you can get readers groaning at every POV shift, and just hoping they’ll get back to the main story ASAP. Hooks are hard to build… and as with any device, they can be overdone or done poorly, but if a story can use it effectively (some literature has some amazingly memorable first lines), then by all means do so! But as a slush reader, I see a TON of these kinds of hooks every week. The pattern is so familiar that for me (as a reader) the anti-climatic anticipation is enough to take me out of the story. Next Next post: Writers: Should You Quit Your Day Job?